Yesterday, I condensed my love for hymns and hymnals into 3 broad reasons. I encourage you to look at that post first since this post builds off of that! You can check out that post by clicking here: 3 Reasons Why I Love Hymnals. In order to be fair, I thought I would put together three simple reasons as to why I love modern worship music. Now, to be honest, I DO NOT love ALL modern worship music. Rather, I love a lot of what modern worship music offers the Church. My favorite modern worship songs are usually those that sound more like hymns, no surprise if you read my first post! Yet, there are some that do not sound anything like a hymn that provides great words and music to worship the Lord! So, here are my three simple reasons pertaining to why I love modern worship music. I say this because hymns teach a lot! If you pick up an average hymnal you will find 500+ hymns contained in them! Not all 500 are profitable, but at least 400+ hymns out of those 500+ hold a great amount of wisdom for the Church. 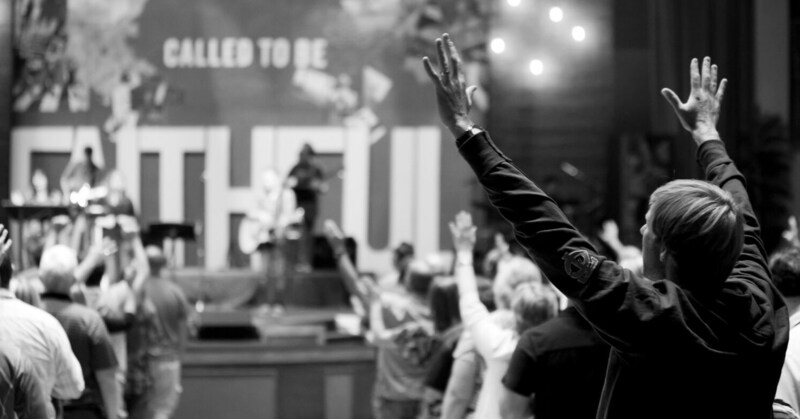 Modern Worship Music is beginning to pick up where the old hymns have left off. Hymns teach Scripture, doctrine (theology), and music to the Church. But, culture is changing. I am not saying that the Church should change its message. We never change the message. The gospel of Christ should be lifted up every time we pray, preach, fellowship, and sing with one another. What modern “hymns” have done is relight the fire in our worship. If written well, a modern worship song can teach Scripture, doctrine, and music just as well to the younger generations (like me), as the hymns teach Scripture, doctrine, and music to all generations. I am assuming that the younger generations will love the modern music more than the hymns of old (however, I grant there are exceptions, like myself and many others coming out of the woodwork in the last 10-15 years). If you were to pick up a newer worship song from Sovereign Grace, Indelible Grace, Keith Getty and Stuart Townsend, etc. you would find really good music that teaches Scripture where some hymns have failed. You would find that the modern “hymn” teaches doctrine, especially of Christ, in far better ways than an older hymn has. You would also find that the newer music is, in fact, newer music than hymns! Newer music has a way of getting into your head and staying there. The newer beat, tune, or words are catchy. For example, the past 3 years I can look back on every day and say I haven’t gone a day without humming or singing All I Have Is Christ from Sovereign Grace Music. Take a listen to it now and get it stuck in your head with me! The younger generation seems to love what is up and coming. Well, modern worship music, like what you just heard, provides a strong response to that desire for the next best thing. The music groups that I mentioned in the first reason have given great music to the Church that exalts Christ, teaches strong doctrine in easy to learn verses, and all of this is set to great music. Regardless of if you sing a cappella, with a large worship team, or just a piano this newer music provides great content that can be easily sung. So, I love what these newer songs teach the younger people of our churches. In many ways they teach exactly what hymns have taught for centuries, just to new music. In other ways, though, modern worship songs have excelled in gaining a stronger foothold in the church today than hymns did when they were first “released”. By the way that they have come into our churches, they have captured the minds and emotions of the “youngins”. By using good modern worship music your church can teach Scripture, doctrine, and music to them in a powerful way! One of my criteria for determining if a modern “worship” song is good or not is based solely on one criterion. Does it exalt Christ? That is the question I seek to answer when I sing a newer worship song. Do the words move past me, my experiences, and even my struggles to the ultimate Savior? Sure, it is great to sing songs that picture what we are going through, but we shouldn’t stay there. The words of the music should move us to exalt Christ as our answer, not to exalting our poor selves that need an emotional high while we sing (which seems to result in some modern worship music where the chorus is repeated a billion times….). Christ should be the center of the words sung and at the center of the hearts that are raising their worship unto Him. The focus shouldn’t be on the marvelous guitarist, pianist, or worship leaders ability. All the focus should be on whom we worship, not the way we worship. One of the beautiful things that modern worship music can offer the Church is a renewed fervor for worshipping the King of kings and Lord of lords. Well, those are some brief reasons why I love modern worship music. These do not cover all the reasons, but they encapsulate much of what I love about the newer hymns of the Church. I love that they teach, I love what they teach, and I love who they exalt! What do you love about modern worship music? Do you love them at all? Do you prefer the hymns? Do you prefer a mix? Feel free to let me know! GREAT POST! I loved the one about hymns too! I love that you did both 🙂 I love AN ANIMATION too. Pretty great ministry!